These are lovely for the kids to make for friends at school and they don’t cost much. 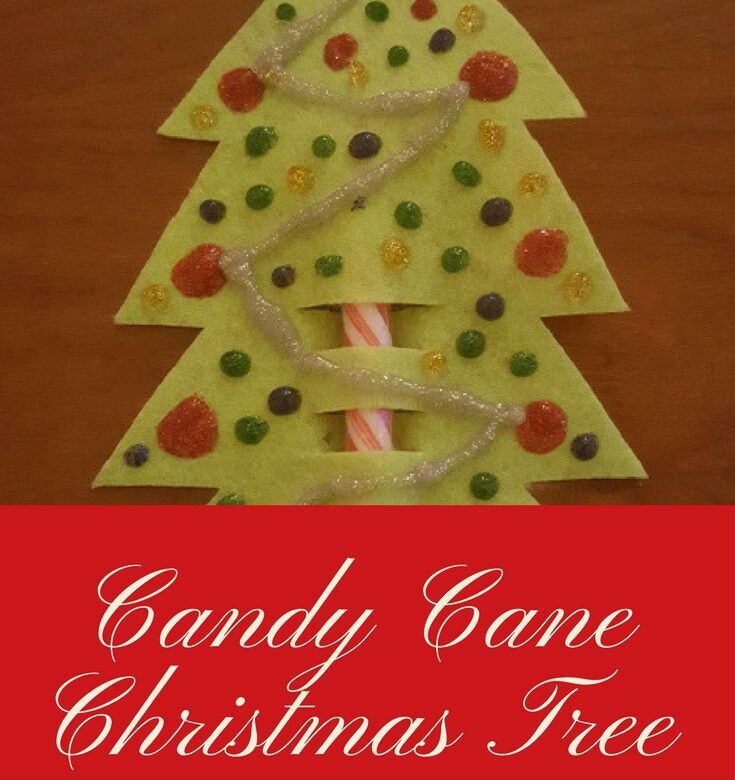 Fold the piece of felt in half and draw half a Christmas tree, making sure to draw it on the folded side. Cut out the tree and open it up. Lay the cane on the tree and mark where the cuts need to be. Fold the tree in half make the small cuts where the cane will go. Put the cane in the holes. Nearly there! Day 19 is a tutorial to make a salt dough photo frame gift.